Tickets are now available for the next show by Stenton Footlights. 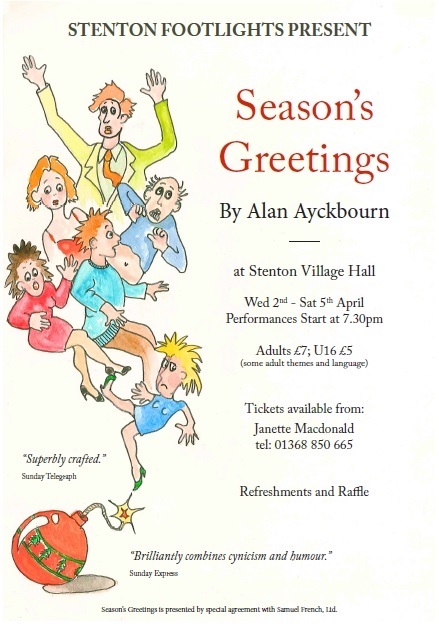 It’s “Season’s Greetings” by Alan Ayckbourn, a wonderfully funny, dark comedy (with some adult themes and language). This entry was posted in Events on March 8, 2014 by RB.